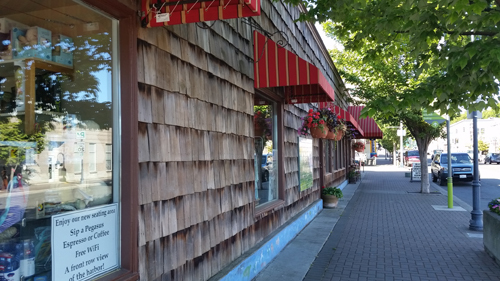 Necessities and Temptations is the largest gift store on Washington’s Olympic Peninsula located in Port Angeles. We offer gifts for all occasions including birthday, wedding, anniversary, graduation, and other special occasions. You can find a present for someone special or a gift for yourself from our different departments including kitchen, women’s clothes, men’s clothes, jewelry and accessories, baby and children clothes, toys, home decor, and a full selection of greeting and special occasion cards. Pamper yourself with our body care products such as lotions, perfume, cologne, air fresheners, and body powders. Help others find the perfect gift for you with our Bridal Registry and Baby Registry. Take a break from shopping by ordering a drink from our full service coffee bar and enjoy your drink from our seating area facing an international harbor and the Coho Ferry. We are Clallam County’s department store.